Leslie Knope, Ron Swanson, and Lil’ Sebastian…oh my! The first episode of Parks and Recreation premiered 10 years ago today! 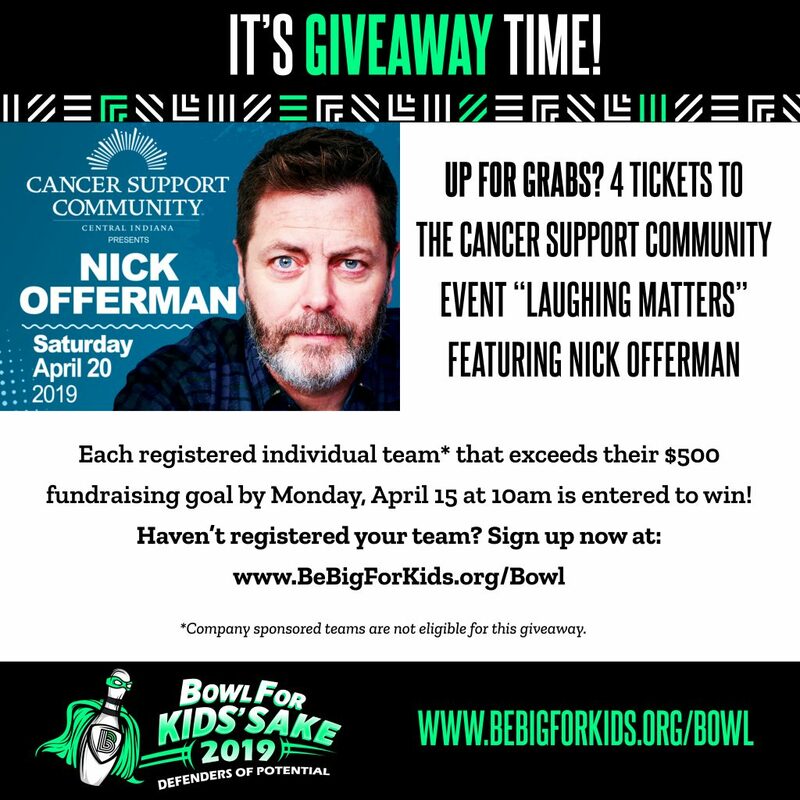 Celebrate by meeting your Bowl For Kids’ Sake fundraising goal of $500 by April 15 and qualify for a chance to see Nick Offerman on April 20 at Old National Centre.